We really love being part of our community and getting to know you all. We thought that perhaps you would want to get to know us better too! James is a university graduate who studied in the field of molecular genetics. His hobbies include violin, hockey, music and a growing passion for sustainability. 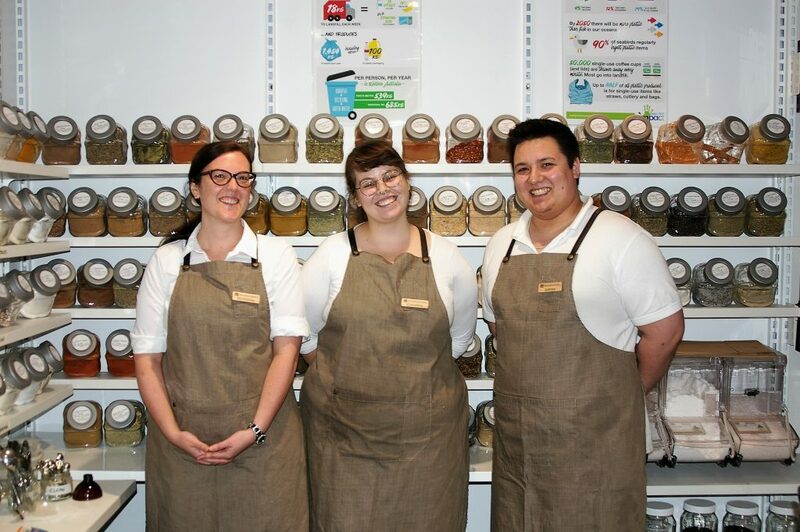 James was a part of the original Wasteless Pantry team when the flagship store opened in 2015. Hi I’m Caroline! I’ve been transitioning to a low impact lifestyle since 2015 and I love having a go at any DIY I can. I love gardening, reading and investing back into my local community by facilitating arts and handmade workshops. Currently I spend most of my time working on getting my masters degree in Education and dreaming of building a tiny house! Shantelle joined the team at the opening of the Bassendean store. Her previous experience includes copywriting for radio and truck driving in the mines. In her spare time, Shantelle loves cooking, hanging out with her pet rabbits, and trying to set up her garden for sustainable living! Nice to meet you and looking forward to seeing you again soon!